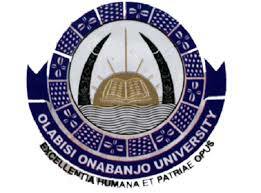 Olabisi Onabanjo University, OOU Matriculation Ceremony Date of all Freshers/Newly Admitted Students for the 2018/2019 Academic Session. This is to inform all newly admitted students of the Olabisi Onabanjo University, OOU that a new matriculation ceremony date has been announced for the 2017/2018 academic session. The Matriculation Ceremony for the newly admitted students into Olabisi Onabanjo University for the 2018/2019 Academic Session will now hold on Wednesday, 6th March, 2019 at Lecture Theatre II, Main Campus. The Ceremony would be presided over by the Vice-Chancellor in the presence of other Principal Officers. Provosts and Deans are expected to present their students for the mandatory matriculation oath taking while all matriculants are expected to be seated by 10.00am. All new students are expected to be seated by 8.00am.